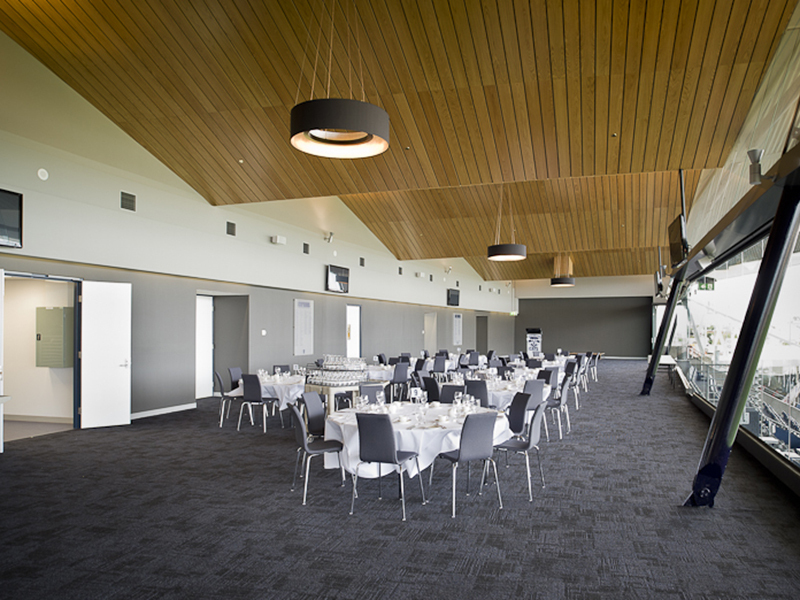 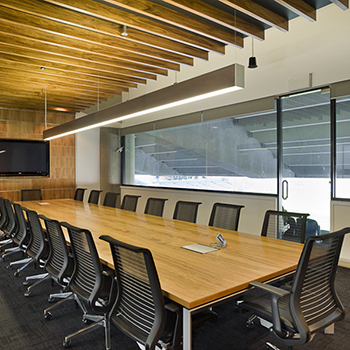 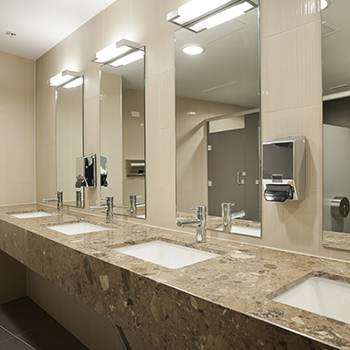 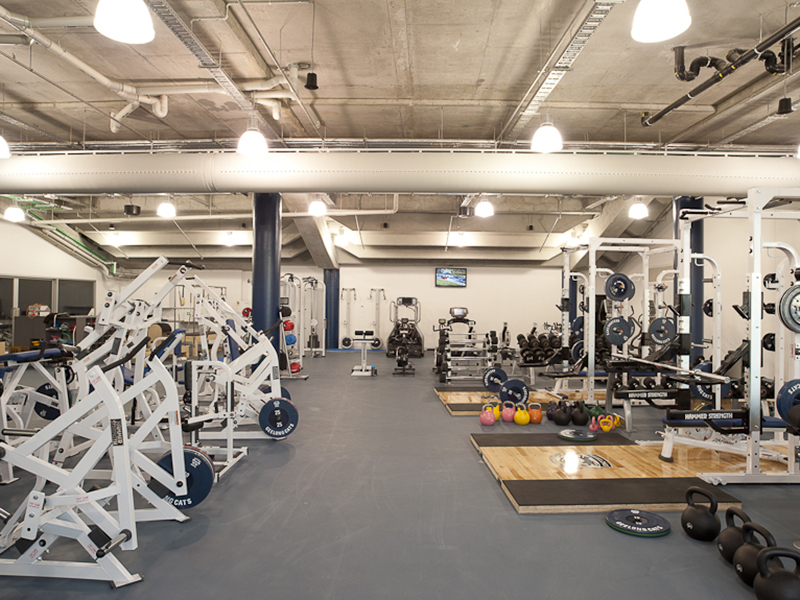 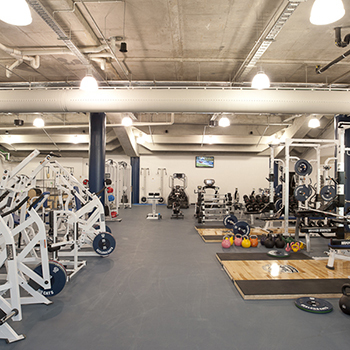 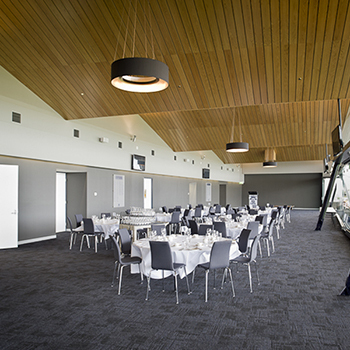 Sonic Lighting was proud to supply the lighting for the Geelong Football Club’s new Ross Drew Stand. 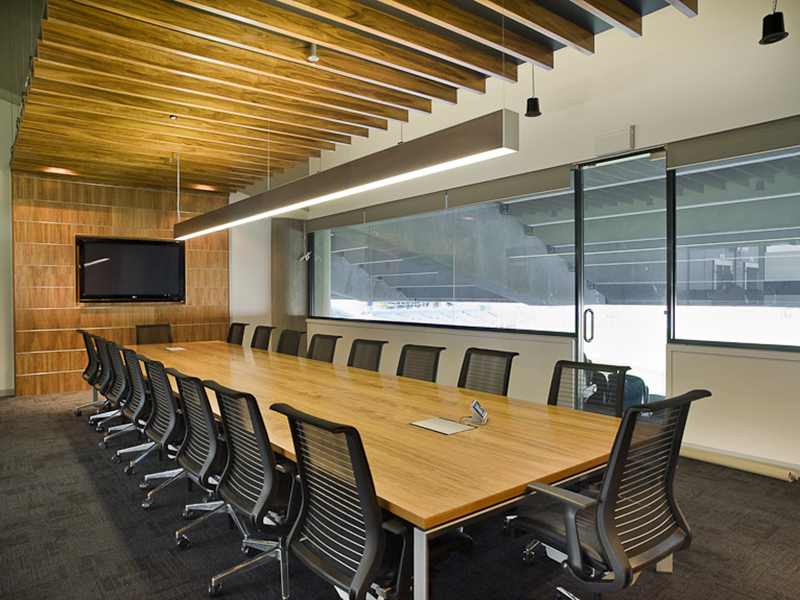 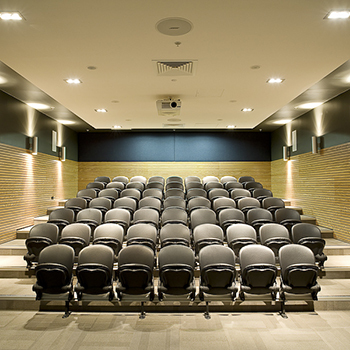 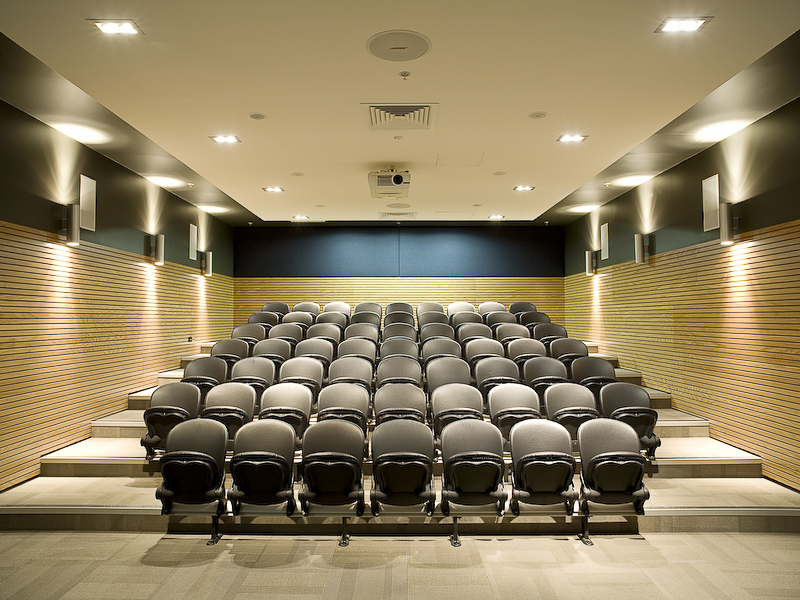 Lighting was required throughout theatres, player training areas, offices and corporate dining areas, and included custom made fittings such as 1-metre diameter black silk drum pendants and 5-metre long suspended profiles. 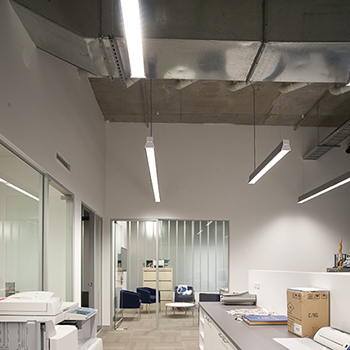 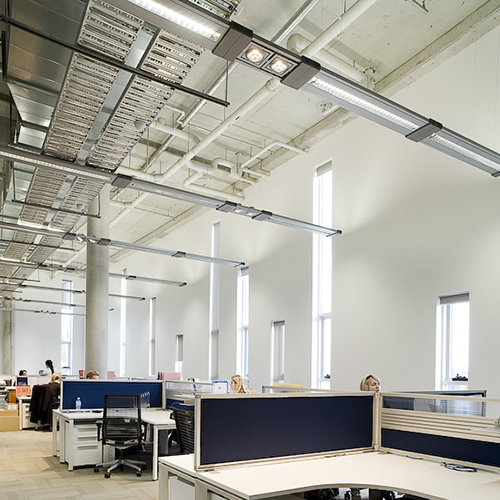 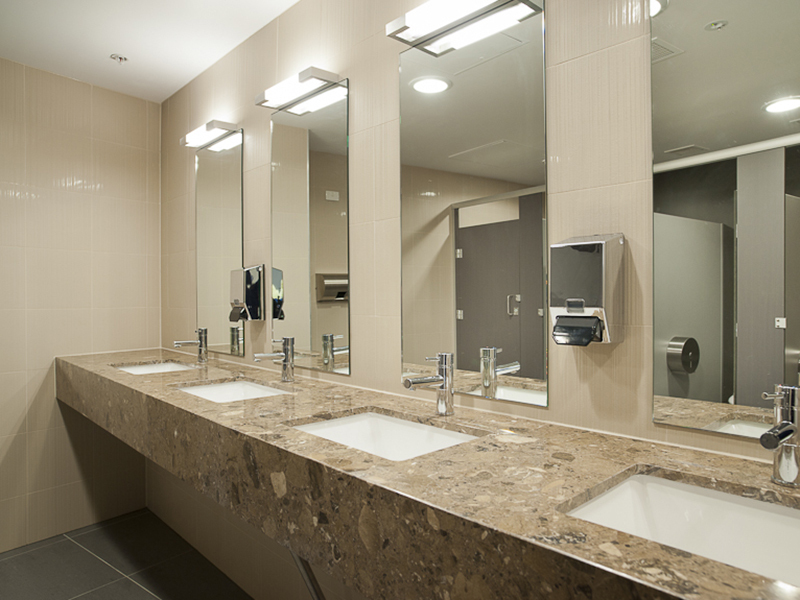 Also featured throughout the complex are Prestige fluorescent fittings, the Vario suspended fluorescent system, Bell hi-bays, Arkos Max and Arkitect downlights and Side On metal halide spots.